RemovalsMates provides relocation and removals services in Brixton, SW2. Our movers will help you with everything – packing, loading and transporting of your belongings. When it comes to house removals on the territory of London, and more specifically in Brixton, SW2, we are the best experts. We can relocate your office, business or home to any part of London and not only will we take your stuff from where you want but also we will arrange everything the way you want it to be. This is what we offer – a complete set of services that are priceless for all families without their own vans. Call us and you will appreciate the best on the market. 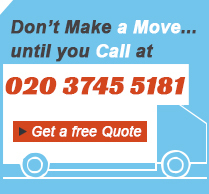 Get our great Removals Services at Affordable Prices! Give us a call at 020 3745 5181. We offer efficient office removals for all kinds of businesses in Greater London and now our company covers the area of Brixton, SW2 as well. A team of professionals will come to your office building in a short notice, the items will be carefully packed and loaded into a spacious truck and you won’t have to lift a finger. The job will be done by our strong and dependable workers and your office equipment will be delivered to the front door of the new office without any damages. Get in touch with our operators now and make a booking. They are at your service every day. Brixton, SW2 is famous to be one of the area in London with the least cars per capita. How is this possible- well, good transportation system and, of course, a lot of companies that will help you in the activities that require the presence of a car. Our company is one of the few specialist in house removals and we will help you with the moving and the arranging of your luggage and possessions. If you want to see first our price list, you call contact us through the web form we have created with the simple purpose to make your life easier. When you have the desire to move out and change the atmosphere but you are still wondering, we have one thing to say to you- go ahead! Do it! And we will be there for you to help you in this new period in your life, because we are accustomed to helping people in their house removals. Come and order our services in the office that is situated near you, in Brixton, SW2. However, we work on the whole territory of London and if you prefer you can call us instead. Copyright © 2014-2019 Removals Mates London. All Rights Reserved.